Saucify is a privately owned gaming company with operations in eleven countries, including the US, the UK, Canada, Germany, Curacao, Malta, South Africa, China, Poland, India and New Zealand. It was launched in 2006 and has been growing since then, regularly releasing new games into the market. Saucify's casino software can be simply integrated into existing poker, sportsbook and bingo platforms. The company motto, "A new philosophy. A new vision. A singular focus on you success. This is Saucify" describes its vision and aim in the industry. In fact, in 2011, Saucify was short-listed at the eGaming Review B2B Awards for four different awards including Software Rising Star of the Year, Innovation in Slot Provision, RNG Casino Supplier of the Year and Innovation in RNG Casino Software. They continue to develop by introducing new games and services in the competitive online gaming market. Saucify's products include significant customization including lobbies and games, the ability to generate reports, straightforward and fast banking solutions, effective communication channels for your customers and full back office control. It ensures that the product is suitable for the market you are in and allows you to customize language, games and banking to suit your regulatory jurisdiction. Saucify is able to manage the entire business operation of your online casino through the turnkey solution. Saucify will focus on areas of back end operational functions, reports, affiliate logins and marketing. As part of Saucify's service it offers back office management and functionality to ensure the smooth running of your casino. This allows you to focus on increasing your customer base and profits without worrying about the running details. As part of this service, Saucify is involved in marketing, affiliates, security, fraud control, player settings, VIP managers, player management and player customization. Saucify offers a wide range of online casino games including multiple variations of blackjack, multiple variations of roulette, craps, baccarat, 3 card poker, a number of variations of keno, classic slots, video slots, video poker and scratch cards. They also offer a range of progressive jackpot games on their progressive jackpot network. There are more than 110 different game titles available. Games can be played in a real money mode or in a fun mode that allows you to practice the game without risking your bankroll. In addition, Saucify offers tournaments on a regular basis in slots and blackjack. Saucify has signed deals with numerous online casino software operators including Mandarin Palace, Lotus Asia Casino, Bet Casino Grand Bay, Planet Casino, Bet Villa Fortuna and Atlantis Gold Casino. Saucify is dedicated to responsible gaming and best practice and they ensure to comply with regulated markets. That being said, Saucify allows a fair amount of flexibility with its operators and some of these have less than favorable reputations for security. 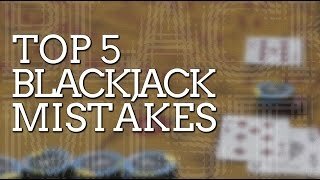 It is important to investigate individual online casinos before you to choose to play there. It is unwise to rely solely on Saucify's good name when choosing a casino.